What, you don’t want more fans? You don’t want to talk all of the wonderful people that already like you? Well, excuse me, then this article just isn’t for you. 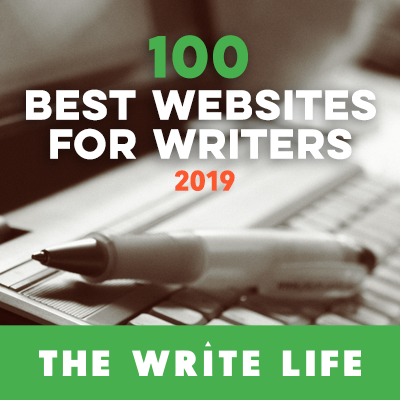 The other 99.9% of us know that fans and followers make the online writing experience more enjoyable than any other component. In times of writing sorrow (i.e. when you’ve just received a rejection for a literary agent or a bad review on Amazon), our supporters are there to offer encouragement and remind us that we are worthy to pick up the pen once more. When writer’s block grabs hold of your brain and refuses to let go, our supporters may offer the seed of an idea that springs into a tree that has branches to take you through to the end of your story. Writers need community probably more than any other profession—we write in solitude, we package our souls for public scrutiny, we sometimes forget the difference between reality and fiction—we need each other! As I’ve said many times over, Twitter is the best way to find new friends; Facebook is the best way to engage your existing chums (read more about that here). 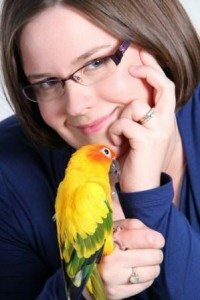 I know you already have a Facebook author page, right? If you don’t, go set one up immediately whether or not you’ve already had your work published (here’s my 20-step guide for setting it up). Do you have a bunch of fancy apps on your page but realize that no one is interacting with them? The reason is that your followers will have to take extra efforts to seek out these features (like the discussion boards). Wall posts on the other hand, just pop right up on users’ main Facebook page. It’s easy for your fans to see what you are up to and to interact when the spirit strikes. Keep the fancy apps, but use Facebook in a much more fundamental way too. Post to your wall each and every day. I’m not asking you to spam your followers, but rather to engage them. Try to keep your posts down to one or two per day (unless for some special reason you absolutely need more). Don’t use Facebook with braggadocio and don’t dump your problems on everyone. People don’t like it when their Facebook friends do this; they’ll like it even less when pages do it. Remember, you are a brand, not just a person. You need to represent yourself, your existing body of literature, and all of your future literature effectively and professionally. Talk to your fans about issues that matter to them and are relevant to the main thrust of your page. One strategy I’ve hit on for the Novel Publicity fan page is to ask a daily question to writers. Each day I post a new question eliciting feedback. Today’s is “If you weren’t a writer, then who would you be?” I’ve also posted questions about self-publishing versus traditional publishing, inspiration in writing, writer’s resources, favorite books, and more. I get tons of feedback and usually 5-10 new fans per day (since starting this method). Try using this strategy for your own page. This is especially effective if you cross-pollinate your social media sources. Send out a couple of tweets letting people know what the question of the day is and linking to your fan page—don’t forget to include hashtags. Include a note in the day’s blog post or add a comment on to your most recent entry enticing fans to check-out the question of the day. You’re guaranteed to not only get interaction from your existing fans but to also find new ones along the way. I have many other strategies that I use to entice people to my fan page (like karmic liking chains, tagged links, and more), but this *is* Quick-Tip Friday, so I guess I can’t elaborate. This sounds like great advice, couldn’t have come at a better time (brand new FB page for my book blog)! Many thanks.